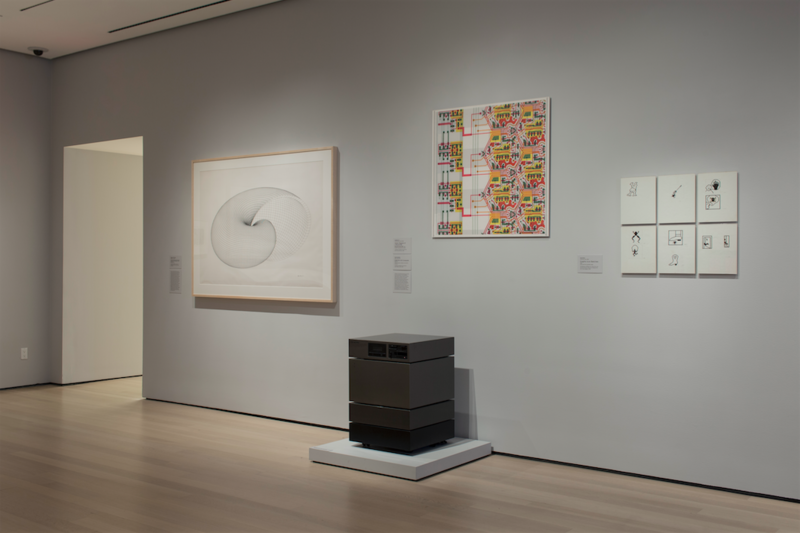 Until April 8, 2018, the MoMA presents “Thinking Machines: Art and Design in the Computer Age, 1959–1989″, an exhibition that reveals how artists, architects, and designers operating at the vanguard of art and technology deployed computing as a means to reconsider artistic production. 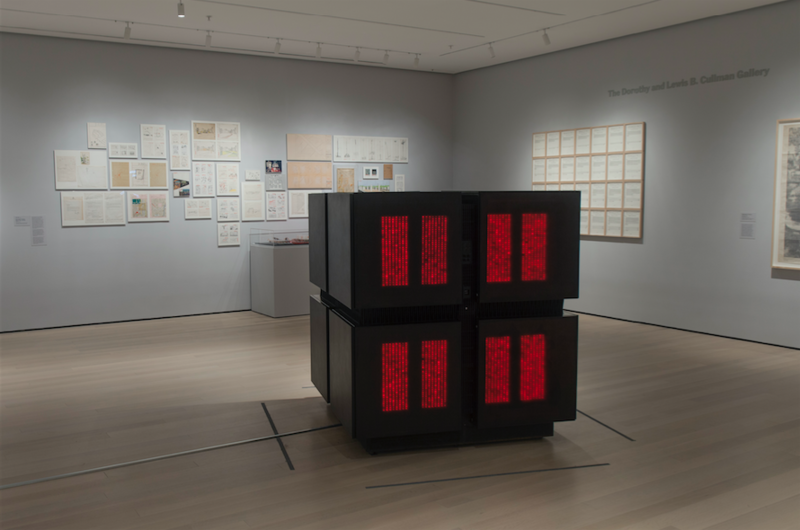 Drawn primarily from MoMA’s collection, “Thinking Machines: Art and Design in the Computer Age, 1959–1989” brings artworks produced using computers and computational thinking together with notable examples of computer and component design. 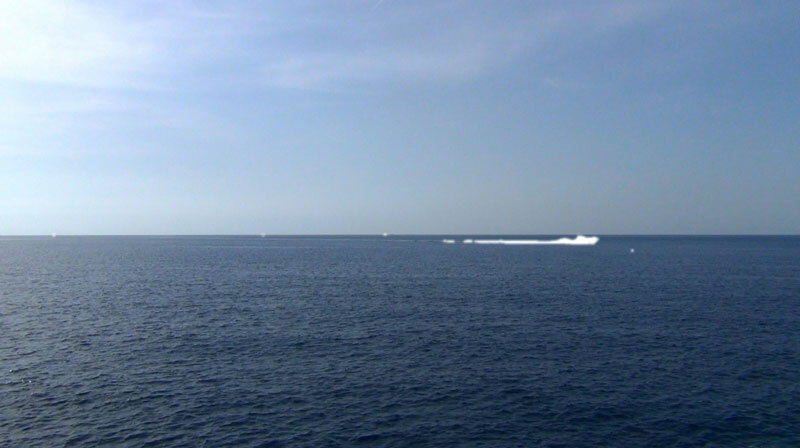 The artists featured in “Thinking Machines” exploited the potential of emerging technologies by inventing systems wholesale or by partnering with institutions and corporations that provided access to cutting-edge machines. Photographers and architects likewise recognized these technologies’ capacity to reconfigure human communities and the built environment. Advancing crucial conversations about the intersections of art, design, and technology that have been discussed and exhibited at the Museum since the 1930s, “Thinking Machines” traces how computers transformed aesthetic hierarchies and reveals how these thinking machines reshaped art making, working life, and social connections. “Thinking Machines” includes works by John Cage and Lejaren Hiller, Waldemar Cordeiro, Charles Csuri, Richard Hamilton, Alison Knowles, Beryl Korot, Vera Molnár, Cedric Price, and Stan VanDerBeek, alongside computers designed by Tamiko Thiel and others at Thinking Machines Corporation, IBM, Olivetti, and Apple Computer. The exhibition combines artworks, design objects, and architectural proposals.